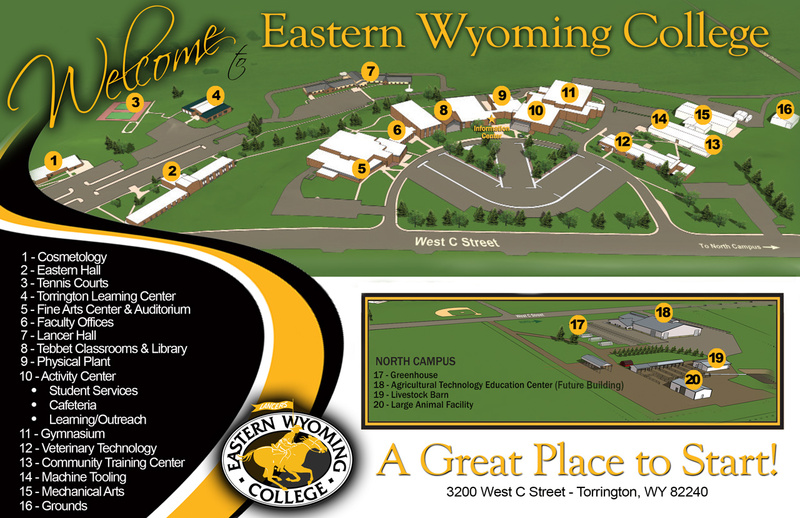 Register For Class - Eastern Wyoming College - It's A Great Decision! Open registration for classes begins after the previous semester concludes and runs until 8 calendar days after the semester begins. Block classes scheduled for the second half of the semester may be added through the first class meeting. Pre-registration for current students begins near the end of each semester for the following semester. Registration for the Interim Session (January) begins near the end of the fall semester. Registration for the Summer Session begins near the end of the spring semester. Examine the class schedule for the semester. View the class schedule online. Pick up a class schedule from Student Services or your Outreach Coordinator. Enrollment in certain English or math classes may require that you complete the academic placement process. Meet with an advisor to plan your educational goals and to complete and review registration materials. Registration for 19 hours or more requires prior approval from the Dean of Instruction. Persons not seeking a degree may be advised directly from Student Services. No payment is due at the time of registration. A payment deadline is established each semester. Placement scores for English, reading, and math aid in proper class selection for academic success. Placement can be achieved through qualifying ACT/SAT scores or by taking the COMPASS exam. Contact the Counseling & Testing Center or your Outreach Site for an appointment to take the COMPASS. Academic placement is explained more fully in the catalog. Eastern Wyoming College will permit all persons who are residents of the State of Wyoming, and who are 60 years of age or older to enroll without tuition charges in any credit courses unless otherwise indicated by the Administration. This tuition waiver does not include use fees, books, materials, supplies, or other incidental charges attached to the respective class.